First 15 miles for Installation/Removal/Maintenance is included. After 15 miles, mileage is charged at $0.575/ mile. Miles to property: 55 miles. 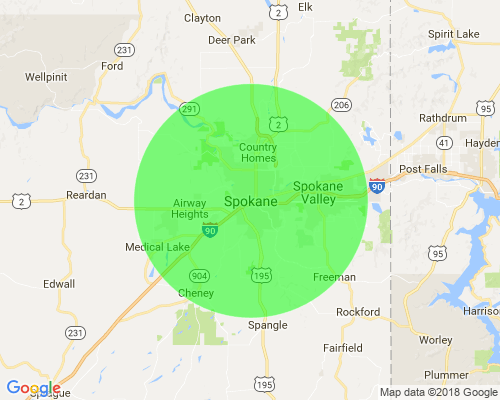 Total Mileage cost for a property that is 55 miles away is $54.63. The Mileage cost is always calculated by shortest route. *The map is only for a general reference, it does not depict actual mileage radius.